WHAT: The University of Illinois Springfield Music Program presents its Spring Showcase Concert featuring performances by the UIS Chorus, UIS Orchestra, and UIS Band. The performance is free and open to the public. WHEN: Friday, April 28, 2017, at 7:30 p.m. DETAILS: The event will feature a wide array of music including pieces from famous movies, such as “The Pink Panther” and “James Bond”. It will also include works by Mozart, Vaughn Williams and Copland as well as guest collaboration with Lincoln Land Community College. “Work of Art” by Shannon Wexelberg features vocal soloist Stephanie Marsaglia, a winner of the UIS Soloist Competition. The UIS Orchestra, under the direction of Assistant Professor of Ethnomusicology Yona Stamatis, will lead the program with music from the movies. The orchestra line-up is a preview for the highly anticipated “Afternoon at the Movies” concert that the group will present on May 7 at 3 p.m. in Sangamon Auditorium. 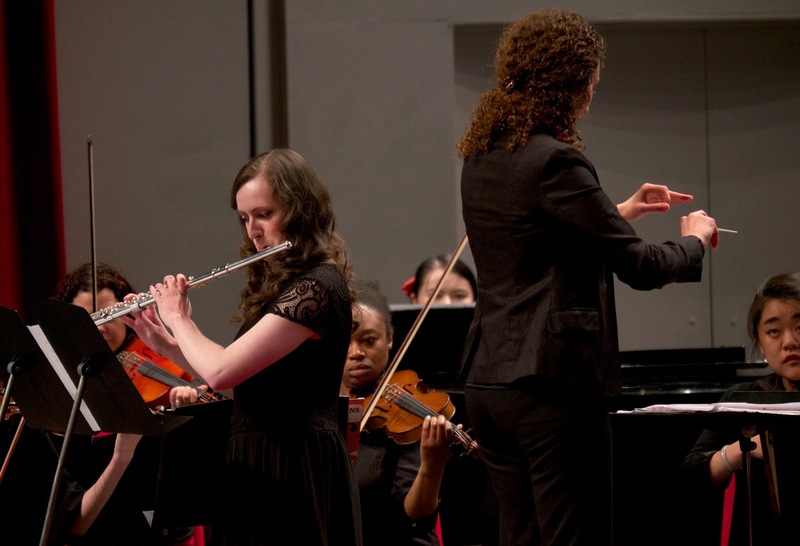 Directed by Associate Professor of Ethnomusicology Sharon Graf, the UIS Chorus will combine with the Lincoln Land Community College Choir under the direction of See Tsai Chan. They will perform a set of sacred and folk song selections and Francis Nesta’s comedic piece “The Argument”. They will return at the end of the concert to join the UIS Band to perform Aaron Copland’s “The Promise of Living”. The UIS Band will end the program under the direction of Applied Music Specialist Abigail Walsh, starting with Franz von Suppe’s famous “Poet and Peasant Overture”. Other works include “The Winged Stallion” by Rossano Galante, “Yagi Bushi”, an arrangement of a Japanese folk song by Naohiro Iwai, and Ralph Vaughn Williams’ “English Folk Song Suite”.